The art of making something from nothing has always been at the heart of hip-hop culture. D.J.s in South Bronx parks created a global youth culture with just records and a sound system. And in that analog world, photographers fittingly documented the emerging scene on film. Decades later, those contact sheets are a visual primary text that offer a valuable peek into how artists on both sides of the camera worked. Now, in “Contact High: The Visual History of Hip-Hop,” (Random House), Vikki Tobak has put together narratives told by the very image makers who helped shape the culture, discovering fascinating stories and lessons on those sheets. The book spans 40 years with nearly 200 images from more than 50 photographers, highlighting the evolution of hip-hop photography from analog to digital and includes personal stories by pioneers like Joe Conzo Jr., Jamel Shabazz, Martha Cooper and Ernie Paniccioli, along with the latest generation, Cam Kirk and Jorge Peniche. Classic photo shoots, contact sheets and behind-the-scenes stories by Barron Clairborne, Al Pereira and Lisa Leone are included, as well as a foreword by the Roots’s Questlove. Some stories reveal how important mistakes can be. Mr. Conzo’s flash didn’t fire when he was taking pictures of b-boys at Roseland. Yet the silhouette he saw on his contact sheet turned into “The Popper,” one of his signature images. The images not only span generations, but also connect them. Gordon Parks’s “A Great Day in Hip-Hop,” done for XXL magazine 20 years ago, echoes Art Kane’s Esquire portrait of jazz musicians set against a backdrop of Harlem brownstones. 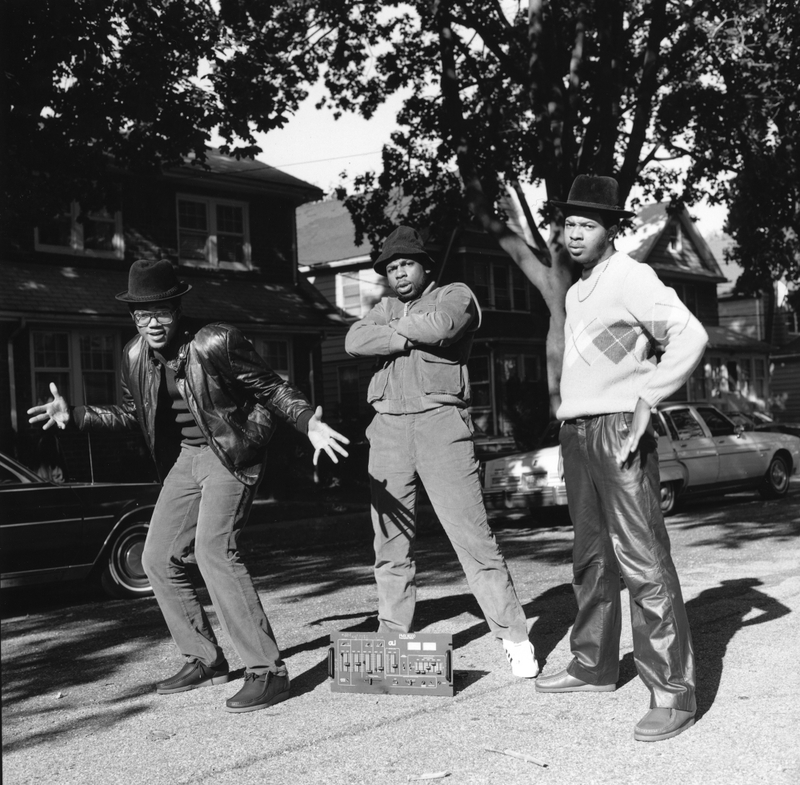 Hip-hop has provoked and galvanized its listeners from songs like “The Message” by Grandmaster Flash and the Furious Five to, more currently, “Alright” by the Pulitzer Prize winner Kendrick Lamar. Once dismissed as a fad, hip-hop’s promotional photos and neighborhood party fliers can now be found in Ivy League archives. Upcoming panel discussions, book signings and exhibitions to celebrate “Contact High: A Visual History of Hip-Hop” include talks at the Schomburg Center for Research in Black Culture in Harlem on Nov. 7, at the Kennedy Center in Washington on Nov. 16, and an exhibition in April 2019 at the Annenburg Space for Photography in Los Angeles.